After studying over 40 commentaries, J.C. Ryle wrote this examination of the Gospel of Matthew, giving the church one of the great works on this book. A Crossway Classic Commentary. 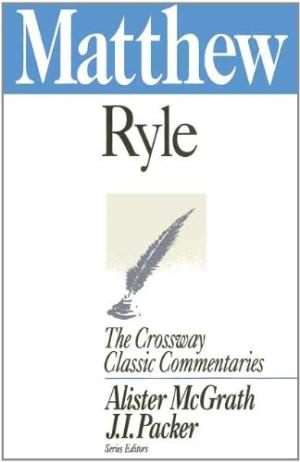 Matthew : Crossway Classic Commentary by Bishop J.C. Ryle was published by Crossway in October 1993 and is our 34953rd best seller. The ISBN for Matthew : Crossway Classic Commentary is 9781856840767. Be the first to review Matthew : Crossway Classic Commentary! Got a question? No problem! Just click here to ask us about Matthew : Crossway Classic Commentary.